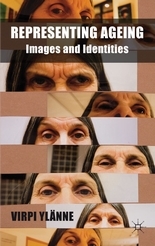 Symonds, A. and Holland, C. (2008) 'The Same Hairdo: the production of the stereotyped image of the older woman' in Richard Ward & Bill Bytheway (eds) Researching Age and Multiple Discrimination'. London: Centre for Policy on Ageing. Ward, R. and Holland, C. (2011) 'If I look old, I will be treated old': hair and later-life image dilemmas’ Ageing and Society, 31(02), pp. 288–307. - And here's an account of a day for hairdressers who work with older people who live in care homes around the Manchester area.